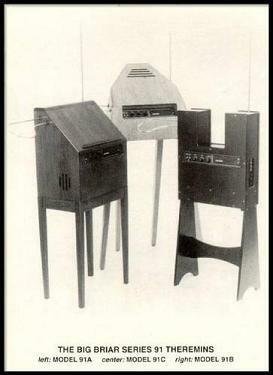 Theremin World member NickCrews is selling a Big Briar Series 91A Theremin. Check out his forum post for details and contact information. The 91A is a beautiful instrument with an excellent voice. You don't see these for sale very often (I don't think I've ever seen one on eBay).